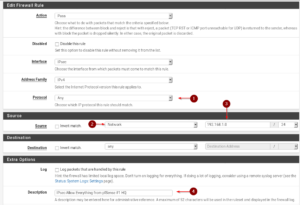 Many of you asked me to create an easy to understand step-by-step tutorial on how to create a pfSense site to site VPN tunnel between two pfSense firewalls. I try to make it as simple as possible. I try to keep this example scenario as simple as possible, therefore I created an easy to understand, self-explaining diagram. This should give you a pretty good understanding of what we want to achieve. 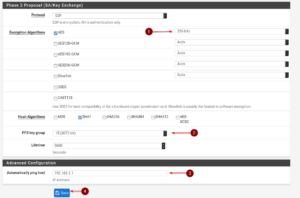 We simply want to establish a pfSense site to site VPN connection between pfSense #1 HQ and pfSense #2 Remote Location. To do this, we need to create IPSec tunnels and firewall rules on both sides. I kept the subnets simple so you don’t get confused by too many different IPs. 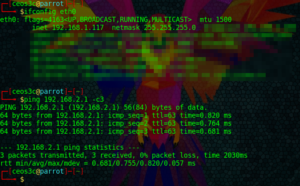 The Gateway in your case would be your WAN IP Address. Without further ado, let’s get right started. 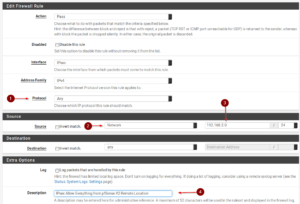 To create a pfSense site to site VPN, you need to log in to your pfSense #1 HQ and navigate to VPN / IPsec and click on + Add P1. 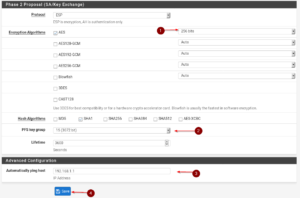 Set the address of the Remote Gateway and a Description. Scroll down to Phase 1 Proposal (Authentication). Now head to any page you like, or this one, to create a Pre-Shared Key. 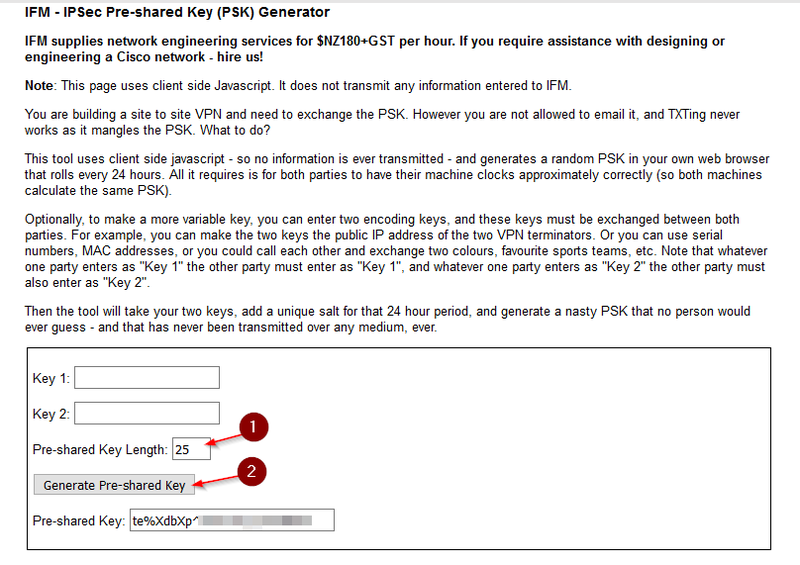 Copy this key and paste it in the Pre-Shared Key field. Scroll down to the bottom leaving everything else on Default and click Save. Click Apply Changes after. Time to create the second Phase. Click on + Show Phase 2 Entries and click on + Add P2. Enter a description if you want. Almost done with pfSense #1, now we just need to create a Firewall Rule for the IPsec interface. That’s it. 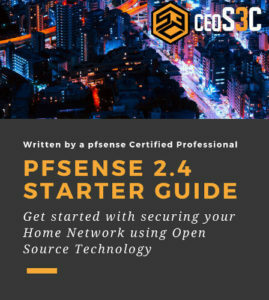 We are done with pfSense #1 HQ, let’s head over to pfSense #2 Remote Location to create our pfSense site to site VPN. Scroll down to Phase 1 Proposal (Authentication). 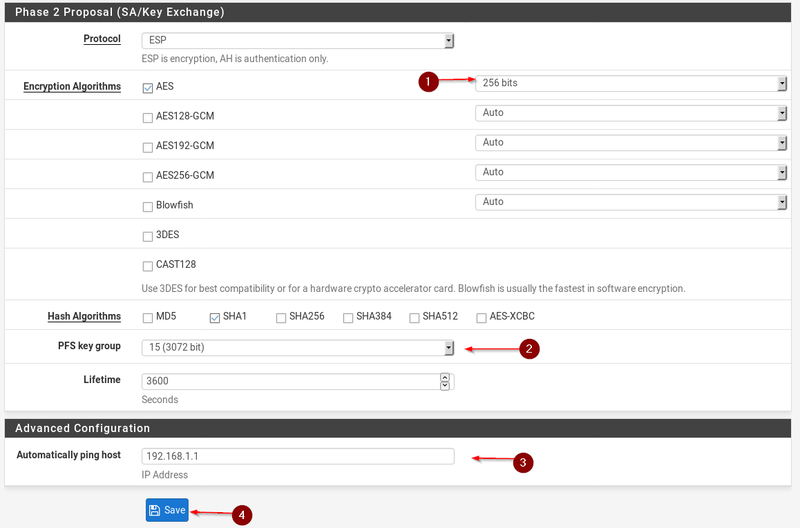 Enter the same Pre-Shared Key like in pfSense #1 HQ that we created in Step 1. Scroll to the bottom and hit Save & Apply Changes. Once again, click on +Show Phase 2 Entries and click on + Add P2. Scroll down to Phase 2 Proposal (SA/Key Exchange) and enter the values like below. Hit Save & Apply Changes. Now, in theory, a tunnel should be established between the two. 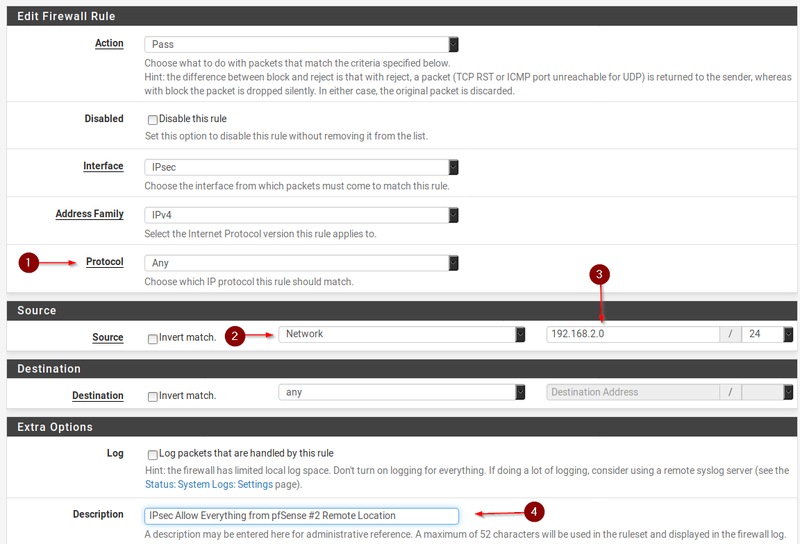 Back on pfSense #1 HQ head to Status / IPsec. You should see, if everything went well, that a connection is established. You will see a similar picture on pfSense #2 Remote Location. 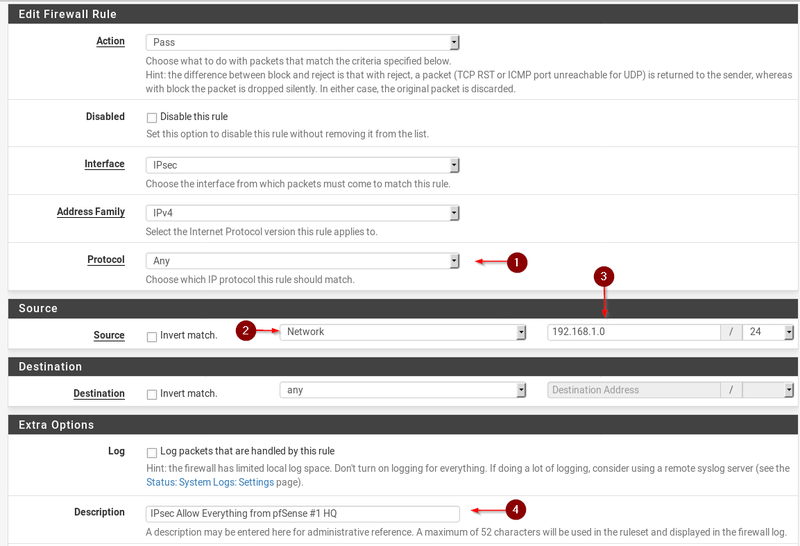 We can do two more things to also validate if the firewall rules are correct: Running a Ping from a Client on each Firewall’s Subnet. 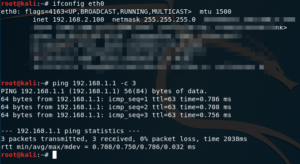 First I will try to Ping pfSense #1 HQ from a Client connected to pfSense #2 Remote Location. 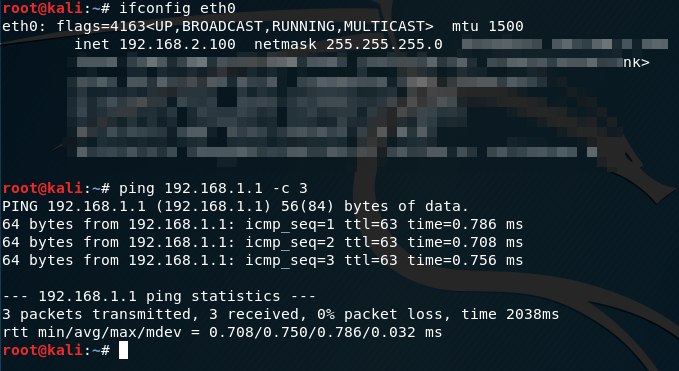 And now I run a Ping from a client connected to pfSense #1 HQ to pfSense #2 Remote Location. And sure enough, you can see that a connection is established. And that’s it. 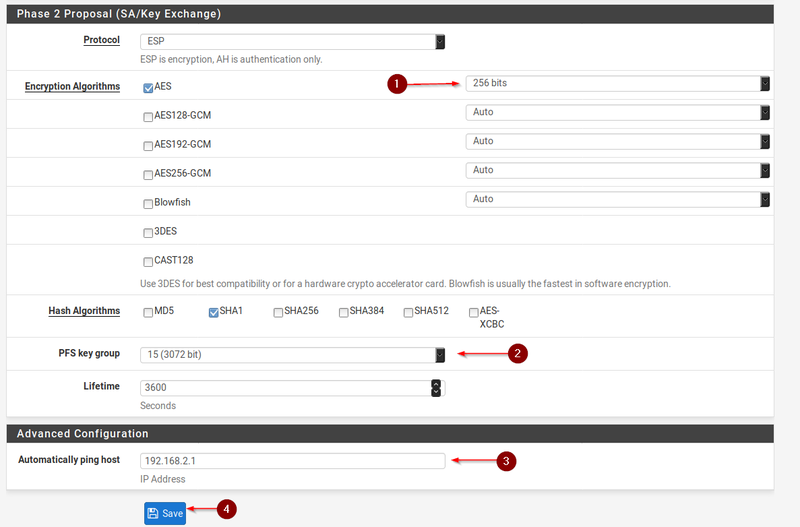 That should give a good idea of how to create an pfSense Site to Site Tunnel with pfSense 2.4.3! Same situation too :c I only see the gateway but i cant see my PC on the other site, can you resolve this? Hi, greate guide. 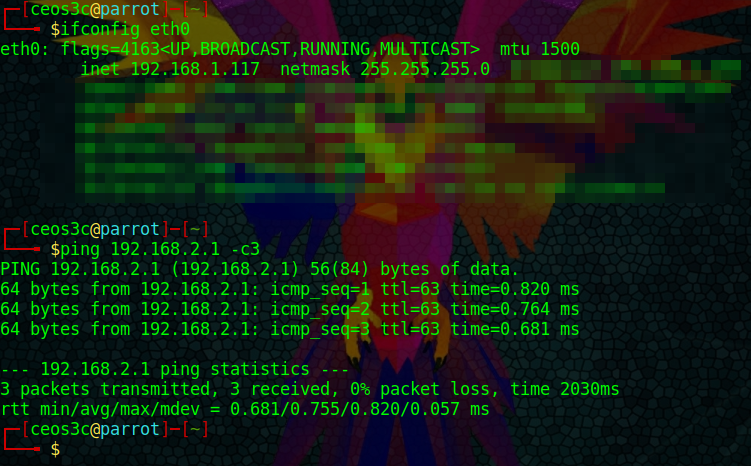 works nice but i got problem with routing, i can reach the gateway on both sites but nothing els behind.